A comfortable and sturdy S1P safety Boot ideal for a wide range of trades. A best seller amongst employees in a whole range of trades, the Portwest FW10 is a superbly comfortable and sturdy boot. 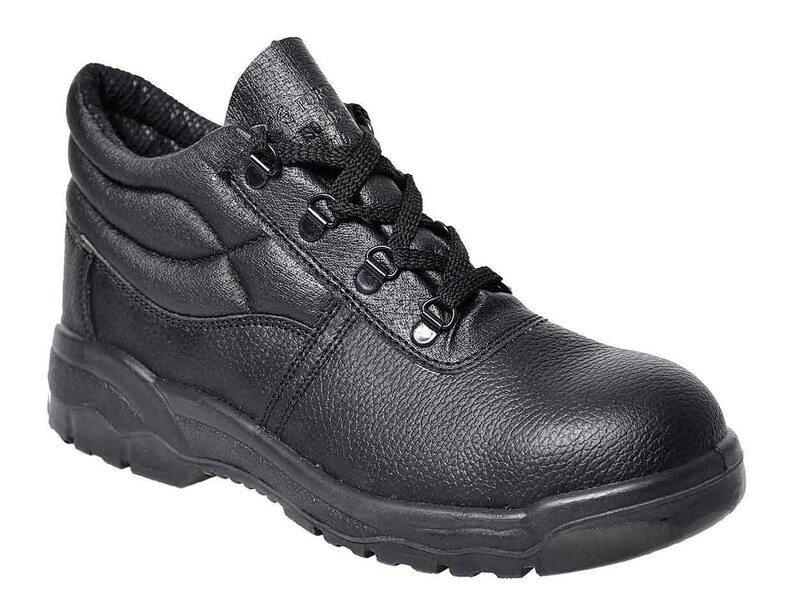 Offering comprehensive protection with a 200 joule steel toe cap, steel midsole, a slip resistant and oil resistant outsole which resists heat up to 200 Deg C. Anti static with an energy absorbing heel. Split buffalo leather upper with a PU outsole. Conforms to EN ISO 20345.